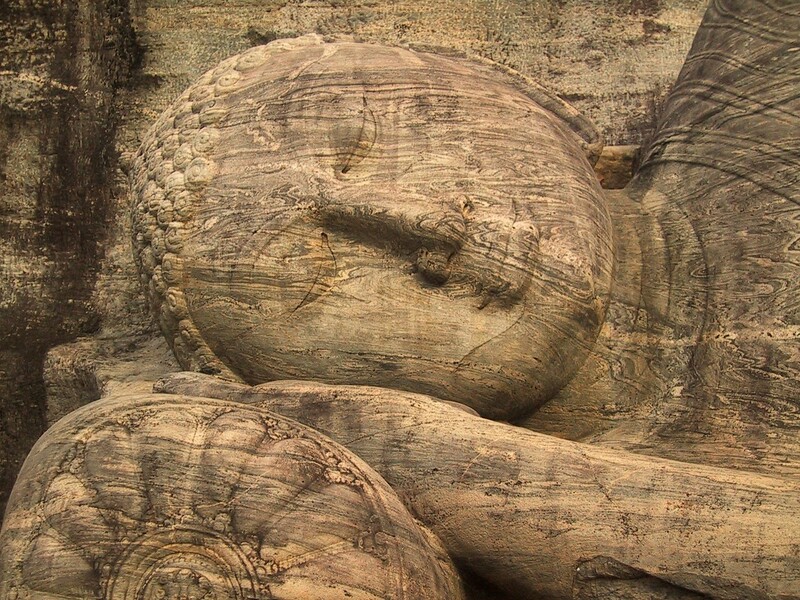 Meditation: Stress Reduction or Induction? 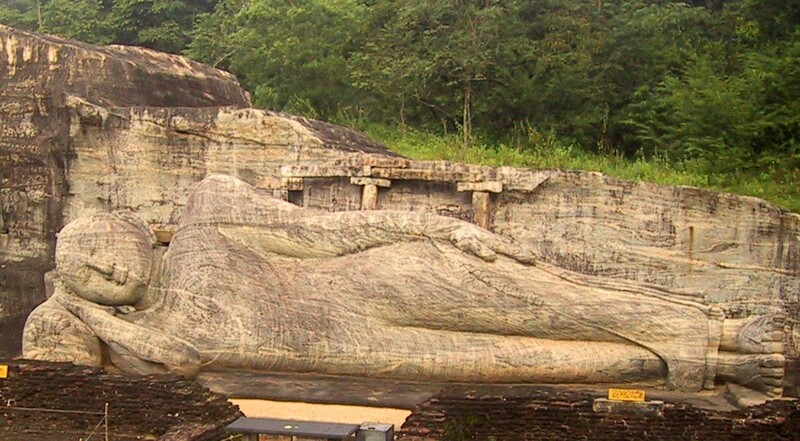 The Buddha enters Nirvana: 46 ft. long Gal Vihara statue, Polonnaruwa, Sri Lanka. What [the Buddha] taught ... the path that we think will lead us to happiness leads instead to sorrow. Every week or so, I receive an email announcing the latest scientific finding about meditation or, as it's usually termed, "Buddhist meditation." Not only is the practice now a proven remedy for stress and anxiety, but meditation lowers cholesterol, decreases the risk of heart attacks and strokes, counters addiction and eases depression. All good, no doubt. I've seen it for myself. For instance, I lead meditation sessions in our local county jail, and I've seen both dramatic and more modest results, as the simple process of sitting quietly appears to help inmates to accept a fresh sense of ownership of their situation, rather than seeing themselves as victims of raw circumstance. Where before they knew only boredom and despair, they come to see opportunities such as reading, education, discussion, growth. And in my own life, time and again, personal grief has become lighter and sadness has turned, unexpectedly, into humor while sitting. So I don't doubt the psychological and physiological benefits claimed for meditation. What I do question is whether any of these payoffs have anything to do with Buddhist meditation. Of course, professing something to be "Buddhist" is about as useful as claiming, "The Buddha said such-and-such." In the latter case, we're asking a lot of oral tradition. The first Buddhist writings (the Gandharan Texts) date from the first century CE, which puts them between 300 and 800 years after the death of the historic Buddha, depending on which tradition you believe -- if, indeed, there was a "historic Buddha" in the first place. Google that phrase, and you'll see how flimsy the evidence is for an actual founding teacher of Buddhism, rather than a committee of sages. And what is "Buddhism," for that matter? A term invented by European missionaries and travelers 400 years ago, who noted the similarity between statues they saw in China, Japan, Ceylon, Siam and Tibet, and came up with the one handy umbrella term. (Ten thousand Indian beliefs and rites suffered the same fate when Westerners, coining the word "Hinduism," proclaimed them all to be aspects of the same religion. Today's scholars are a little more rigorous in their taxonomy.) I don't know how Tibetan lamas, with their bells and incense, robes and rituals, feel about being lumped in with "sit-down-and-shut-up" Zen practitioners, for instance, but I suppose it works both ways. Easterners probably have no trouble seeing Mormons, Holy Rollers, Quakers and Egyptian Copts as slightly different manifestations of something called "Christianity." In any case, I doubt if any flavor of Buddhism would recognize what often passes for "Buddhist meditation" nowadays in the U.S., with its emphasis on stress-reduction and therapeutic healing. The goal of traditional Buddhism is quite the opposite, seeking (as Donald Lopez puts it) "to create stress and destroy complacency" in order to smash the mind -- a far cry from healing it. So there's your choice: Meditate on your path to serenity and low triglyceride levels; or meditate to realize there is no path, there's nothing to "get" because, in the words of that fount of human wisdom, the Old Milwaukee beer commercial, "It doesn't get any better than this." The Big Guy couldn't have put it more succinctly. Barry Evans (barryevans9@yahoo.com) has been meditating since 1970. He still hasn't a clue what it's all about.